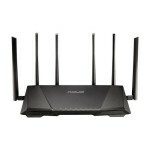 The Asus RT-AC5300 and the Asus RT-AC3200 are both tri-band routers that will boost your WiFi signal in your home. The two routers have many of the same features but are in different price brackets, so what’s the difference? We have looked at the key features of both the Asus RT-AC5300 and the Asus RT-AC3200 to see which router we think is the better of the two. The Asus RT-AC5300 has dual 5 GHz bands and a single 2.4 GHz band and can give you speeds of up to 1,000 Mbps at 2.4 GHz and up to 4,334 Mbps at 5 GHz. The Asus RT-AC3200 also has dual 5 GHz and single 2.4 GHz bands and can offer speeds of up to 600 Mbps at 2.4 GHz and up to 2,600 Mbps at 5 GHz. The Asus RT-AC5300 has a 1.4 GHz dual core processor that will speed up the transfer rates for large amount of data from multiple devices. Both the Asus RT-AC5300 and the RT-AC3200 benefit from having Smart Connect technology that will automatically choose the best and most appropriate connection for each of your devices, switching them between the dual 5 GHz band and the 2.4 GHz band. The Asus RT-AC5300 features advanced technology that speeds up processes and lowers ping times for gamers, with built in WTFast technology that gives users access to the Gamers Private Network. With both routers you can prioritize which of your devices gets the fastest connection with Adaptive QoS. Both the Asus RT-AC5300 and the RT-AC3200 have AiProtection by Trend Micro that helps to give you security for your network and block malicious sites. With both routers you can set up parental controls and individual user accounts where you can set time restrictions and content limitations on each account. The Asus RT-AC5300 and the RT-AC3200 routers can both be managed with an app, where you can stay in control of the devices that are connected to your network even when you’re not at home. 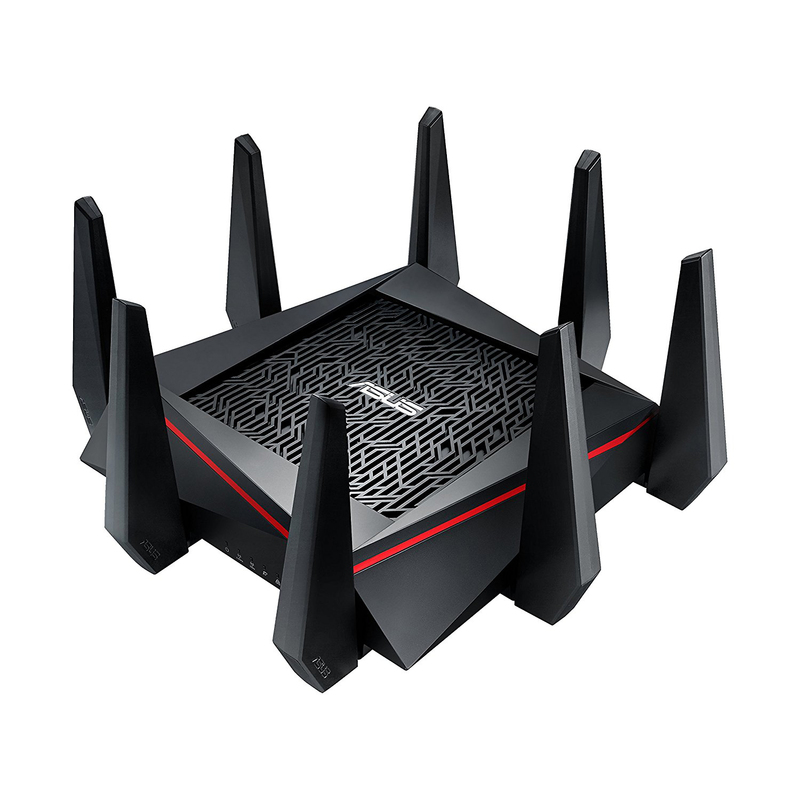 The Asus RT-AC5300 has 4 transmitting antennas and 4 receiving antennas that help to give you a stronger WiFi signal throughout your home, even when multiple devices are connected. The Asus RT-AC3200 has 3 receiving antennas and 3 transmitting antennas. Both routers have 4 gigabit LAN ethernet ports as well as one WAN port and each of the routers also have USB 3.0 and 2.0 ports. The Asus RT-AC5300 benefits from having MU-MIMO technology that will assign your compatible devices to its own fast speed network while keeping speeds consistent for other users on the network. 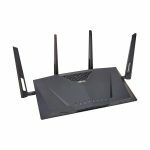 After looking closely at the features of both the Asus RT-AC5300 and the Asus RT-AC3200 we think the better router is the Asus RT-AC5300. 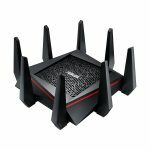 Even though it is the more expensive router it has a lot more features that make it the better choice. The Asus RT-AC5300 will give you faster speeds and has the technology to maintain those speeds even when you’re gaming or streaming from multiple devices.